Harmony Mountain Singers is a perfect combination of musical challenge, fun and laughs. Our music draws on the worlds of pop, folk and bluegrass (with the occasional gospel and world music song thrown in). 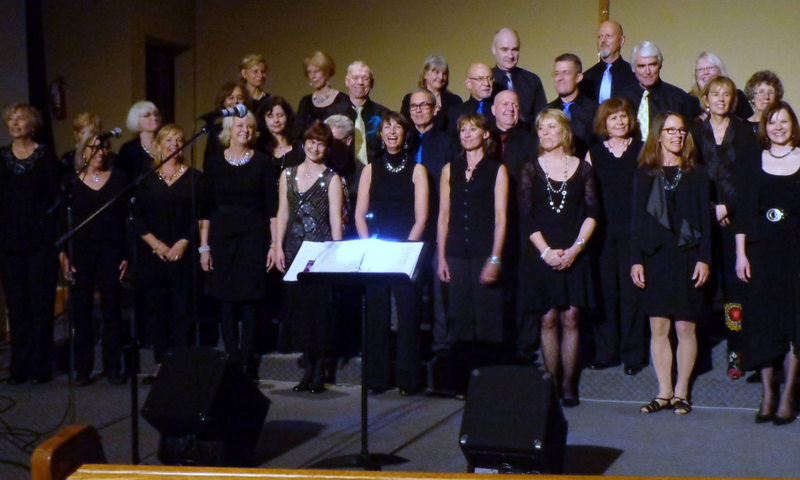 We are an auditioned SATB choir that meets every Tuesday in North Vancouver. We perform at least two concerts a year and collaborate with wonderful local roots musicians. HMS is a very welcoming and social group that creates a joyful and relaxed environment for people who love to sing! Karla has been directing the choir for 10 years- over that time the choir has traveled to Havana, Cuba and Asheville, North Carolina and had countless wonderful parties! We regularly work with wonderful workshop leaders and musicians. This year we are thrilled to be collaborating with David Francey and Coco Love Alcorn! •open to singing folk, pop, bluegrass and an occasional gospel or world music tune. Singers are expected to attend all rehearsals and performances. Absences do happen but it is strongly recommended not to miss more than 3 rehearsals in a term. If you miss more than 3, Karla will determine whether you are able to perform in the concert.